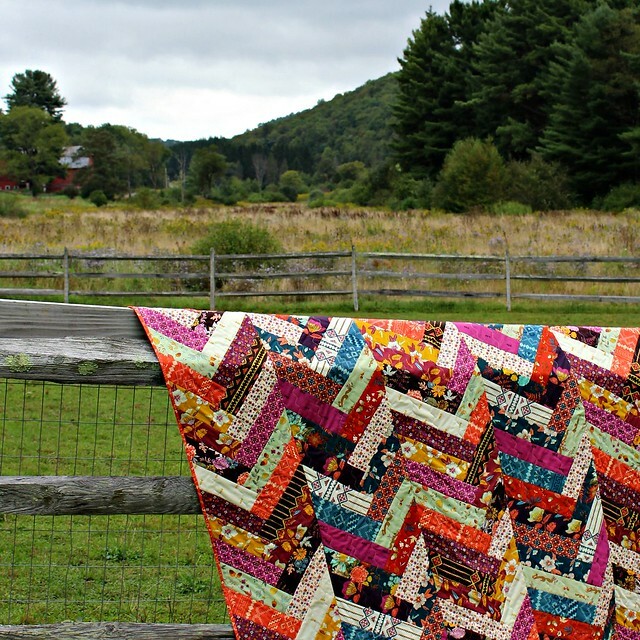 This project tutorial is a Quick Quilt As You Go style quilt, made with long panels rather than traditional blocks. 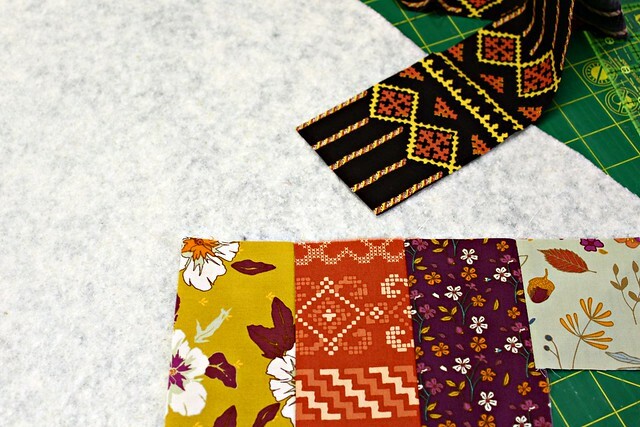 We'll be using cotton batting as our foundation for easy string quilt piecing. 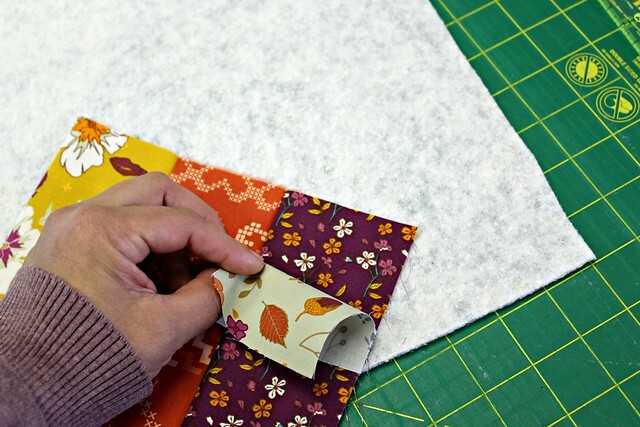 I think you'll be very surprised with just how simple and quickly this method of quilting comes together, especially those of you who have taken my Crafty class, Quick Quilt As You Go! 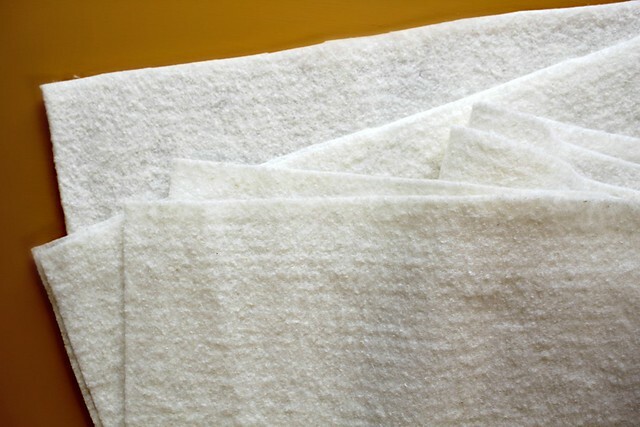 Use a standard loft batting. 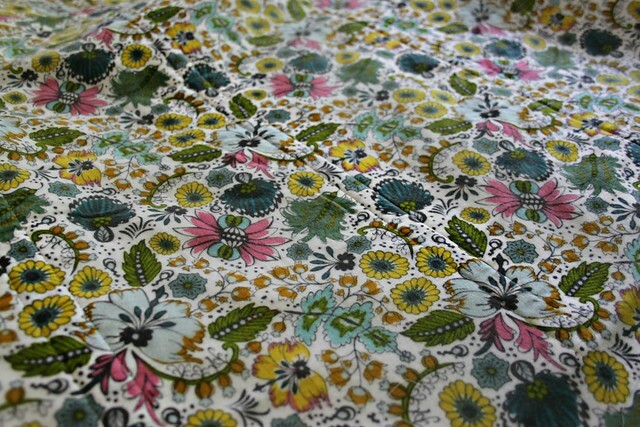 The #1 question I receive about this QAYG is folks wanting to know if there is bulk at the seams. My answer is NO, not to a noticeable degree. 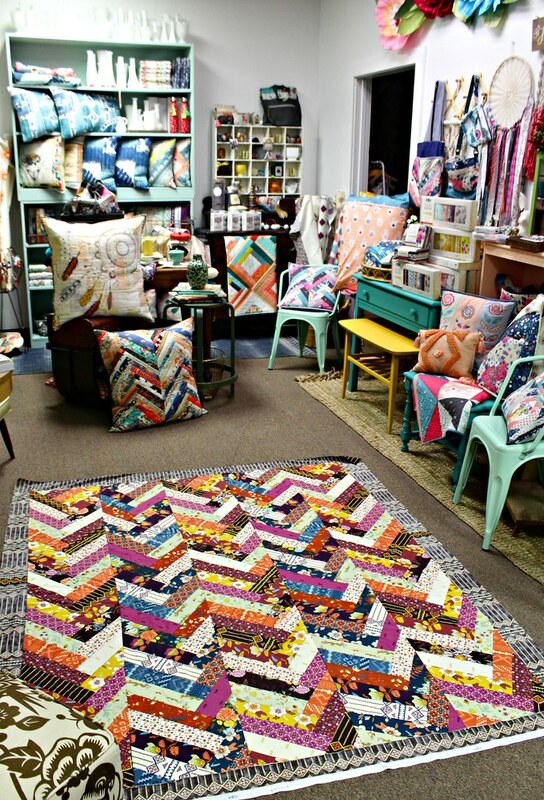 I absolutely wouldn't spend my sewing time making a quilt that was poorly constructed or that wasn't comfortable! 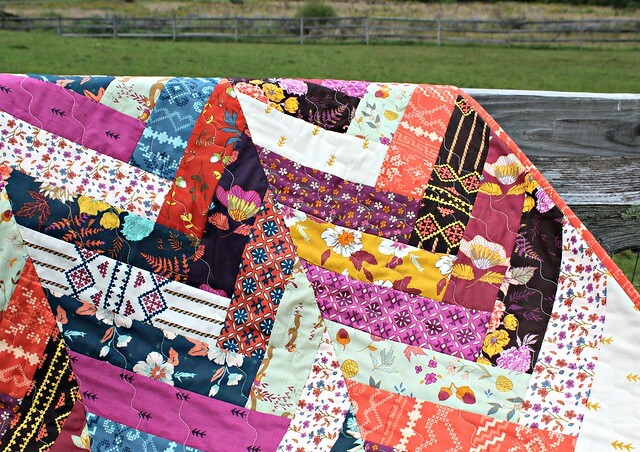 Quilt panels can be made in any size! 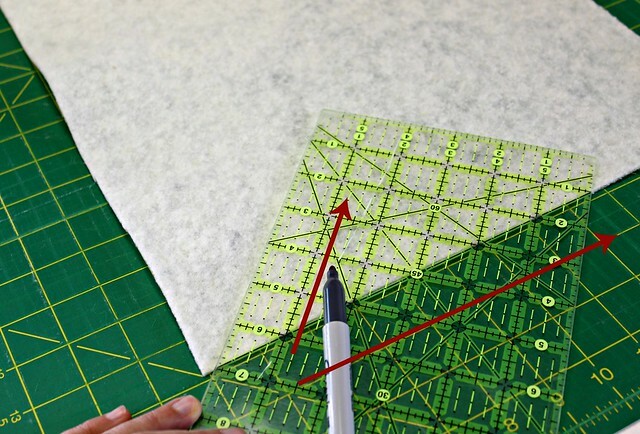 The measurements I'm sharing for this tutorial makes a 60" x 72" throw size quilt. Please feel free to adjust that to your own desired length and width. Below you can see how I kept the WOF length to my fabric strips and trimmed away the access length as I added each new strip. 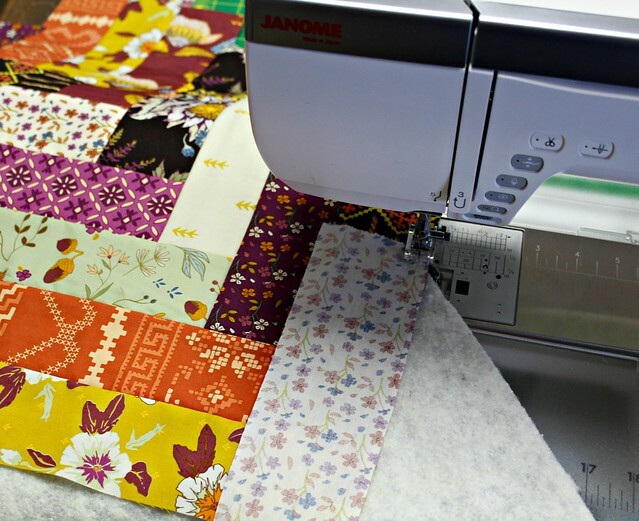 I chose to attach my quilt back and add my final quilting by using the built-in wavy quilt stitch that comes with my Janome. 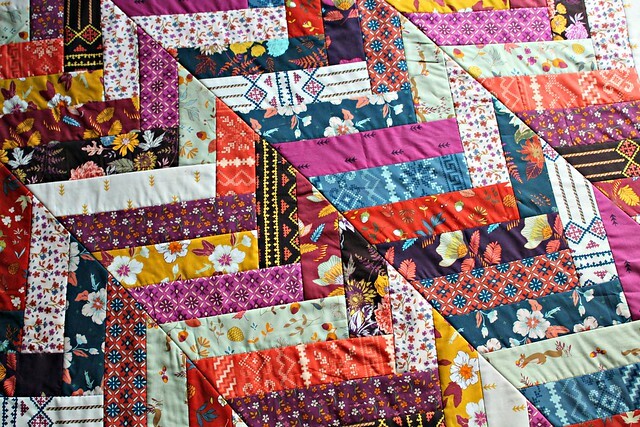 Below you can see an up close look at how the wavy quilting stitches look. Hooray! 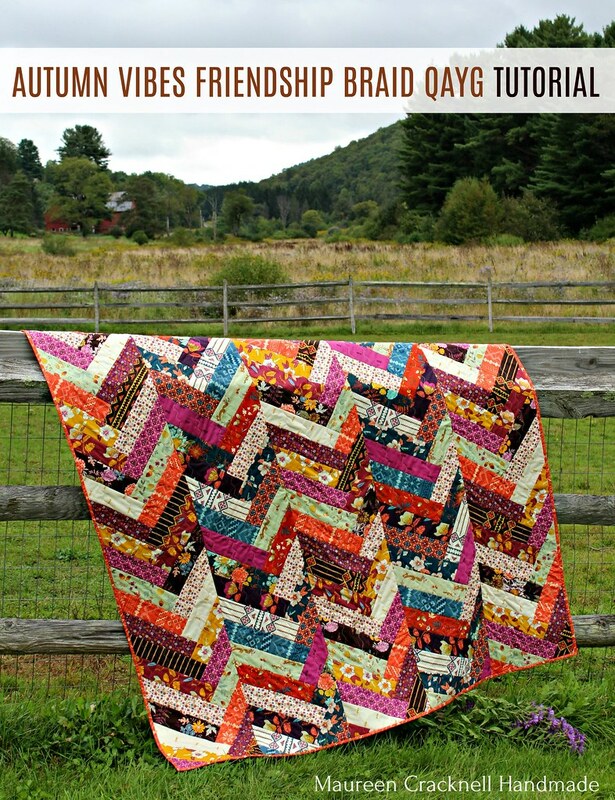 Your Autumn Vibes Friendship Braid QAYG Quilt is finished! 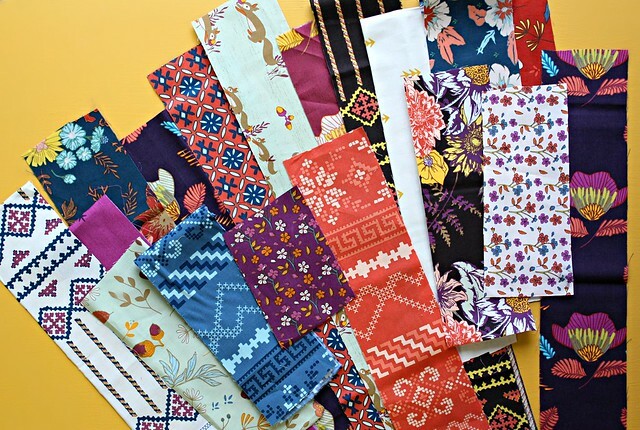 Thank you so much for stopping by today and for all the love you've already shown my Autumn Vibes fabric collection here, on Instagram and on Facebook! I really hope you enjoy this tutorial! Do you think you'll give it a try? 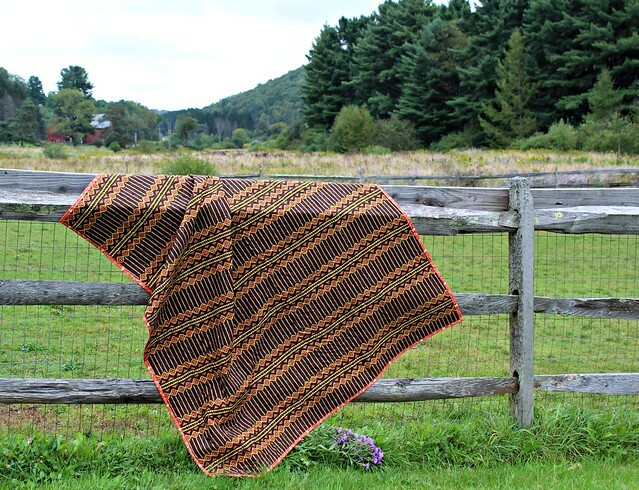 If you do, please be sure to share with the hashtag #FriendshipBraidQAYG, there you can see examples of many other projects using this pattern, and be sure to tag me @MaureenCracknell so I can see! That looks beautiful! I didn't know the technique of applying the strokes directly to the batting. My mom always patchworked the whole thing before applying batting. But this seems nice to try as well! Thanks for your post. Thank you. 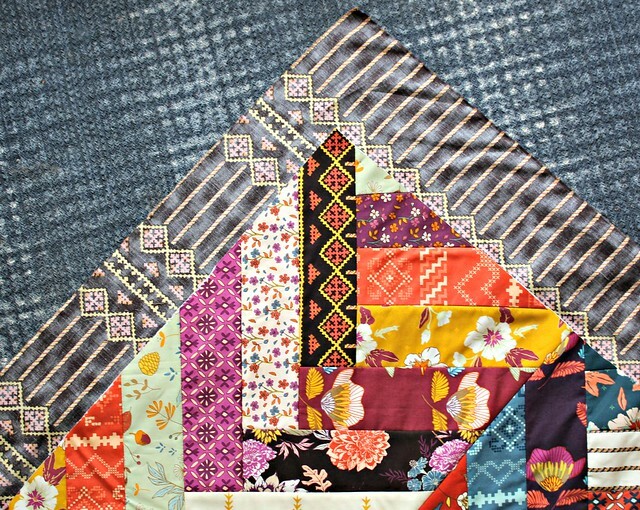 I love this quilt and thank you for the tutorial. Thank you for this tutorial....it is very clear and I am hoping to give this a try, soon. 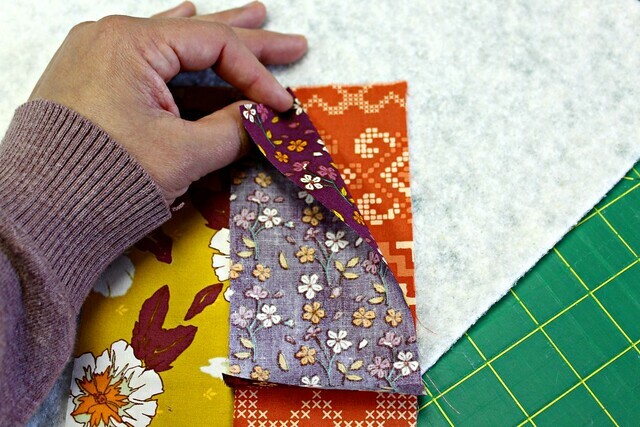 Thank you for this tutorial, Maureen! 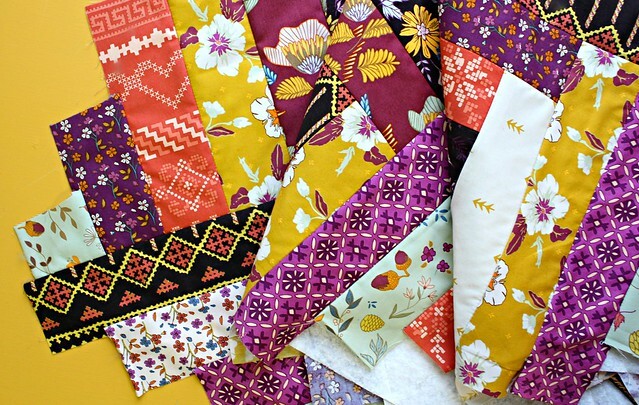 Maureen I took your QAYG course on Craftsy (now Blueprint) a few years ago and made beautiful pillow covers. 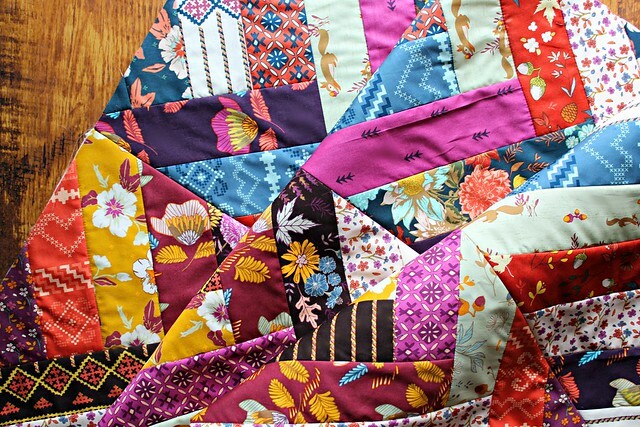 I REALLY need to do this technique again and make this gorgeous quilt. 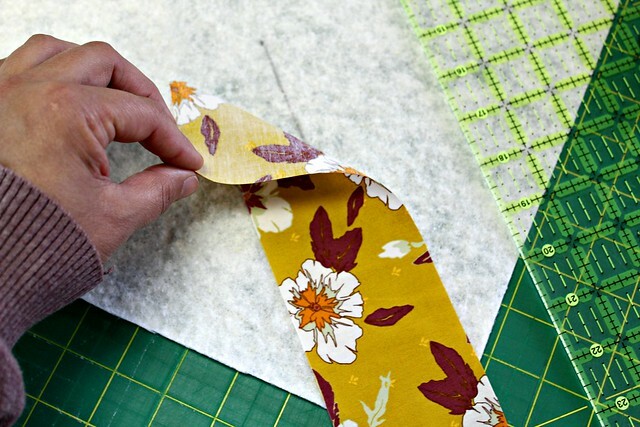 Just to confirm for everyone - NO, there is no bulk at the seams with this method. Thanks Maureen!! Very nice. Something I could easily accomplish. 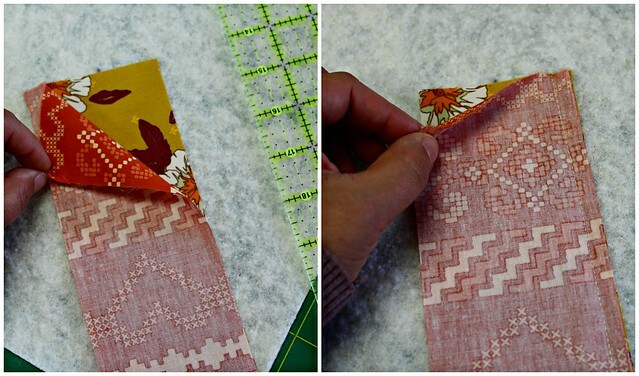 Nice to be inspired with an easy, quick project instead of some with complex cutting before sewing ~ thanks! 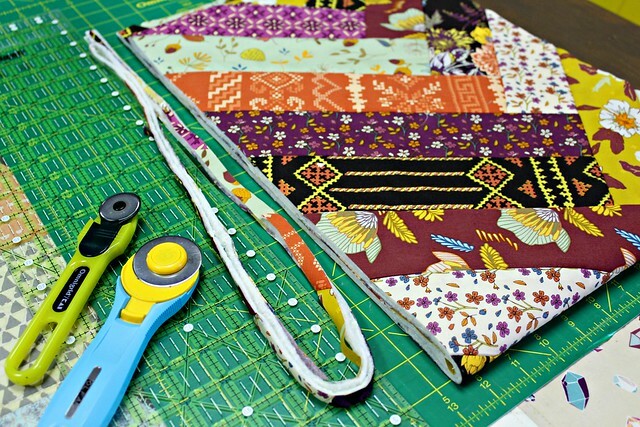 Is it possible to use 2-1/2" strips instead of 3" strips because then I could use a jelly roll, which I have many of these rolls? I would imagine that I would have to use more to make up the length. Absolutely! 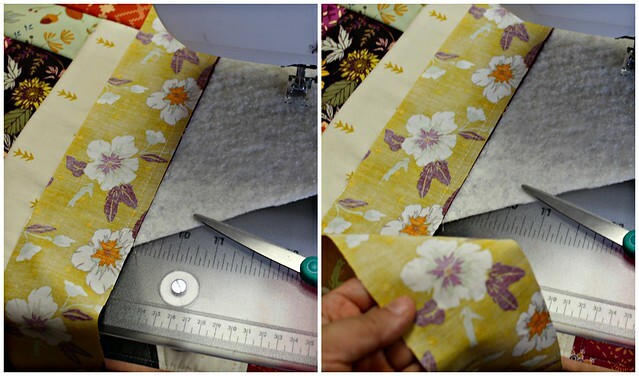 I chose to use 3" strips because I was cutting mine from a 1/2 yard bundle, but Jelly Rolls are a great precut option. 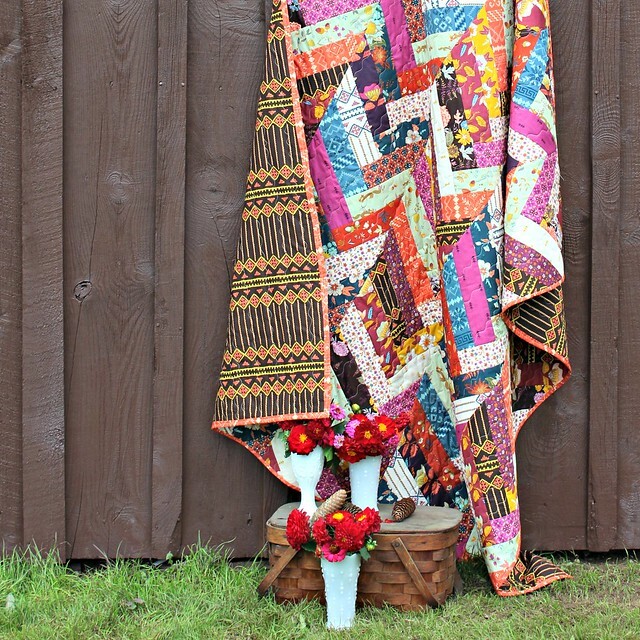 Oh, I love scrappy quilts and this one is definitely talking to me. Thank you so much. 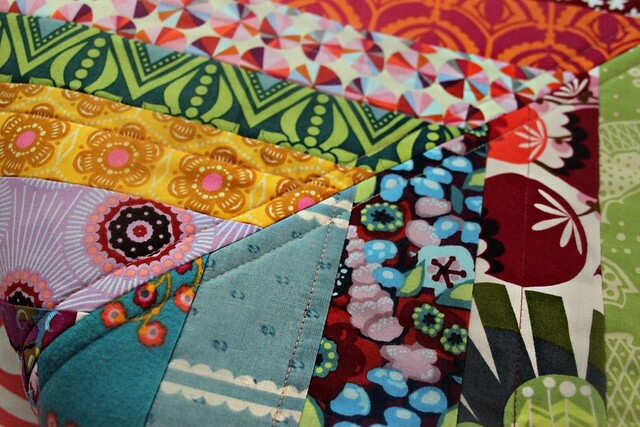 Quilting is not my favorite part of making a quilt.... 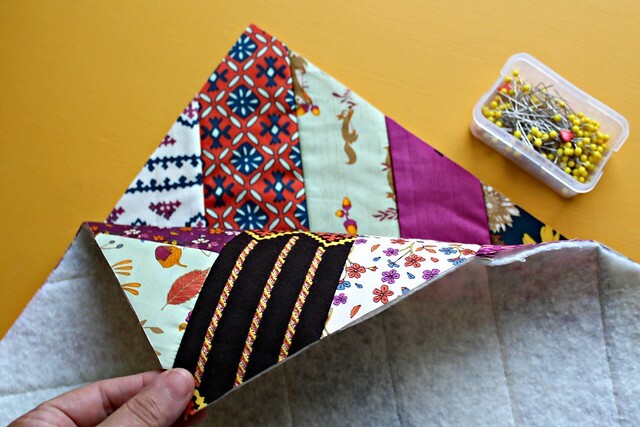 I use the serpentine stitch a lot as I love the way it looks and it I love the texture it adds to straight line piecing. 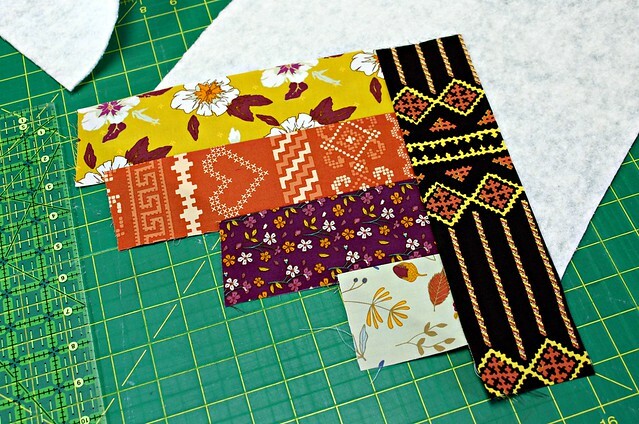 I have finished the log cabins on a table runner I'm making for Fall so I have all those fabs already chosen. 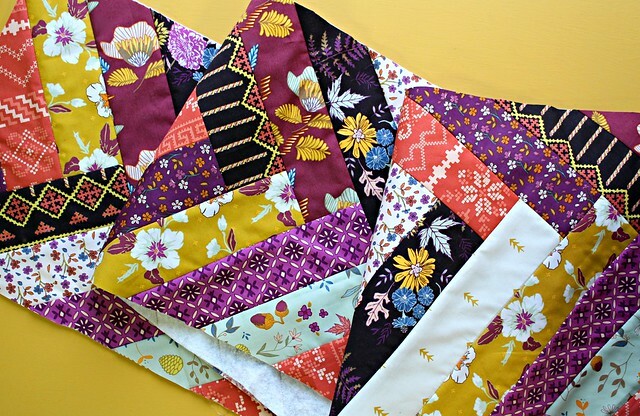 Why not make this quilt from those fabs! Easy peasy. 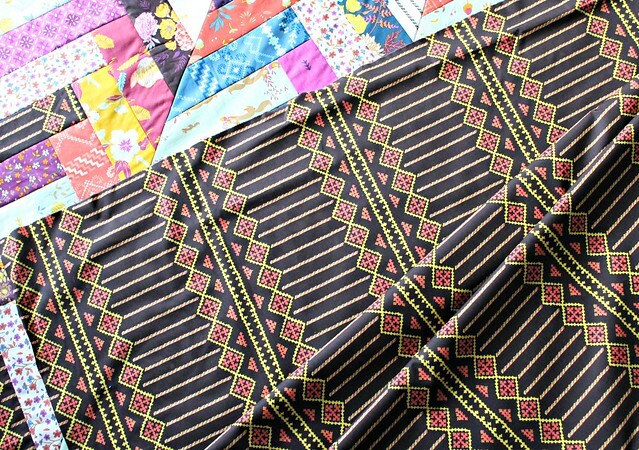 Question regarding the quilting: Did you do the 1/4" from the vertical seams & then the wavy stitch vertically all over wherever you wished? I can't quite see what you did on the photos. 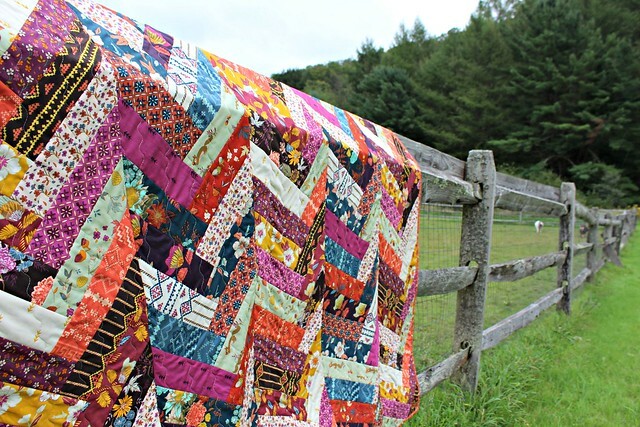 I think you did both quilts differently, right? Thanks so much! 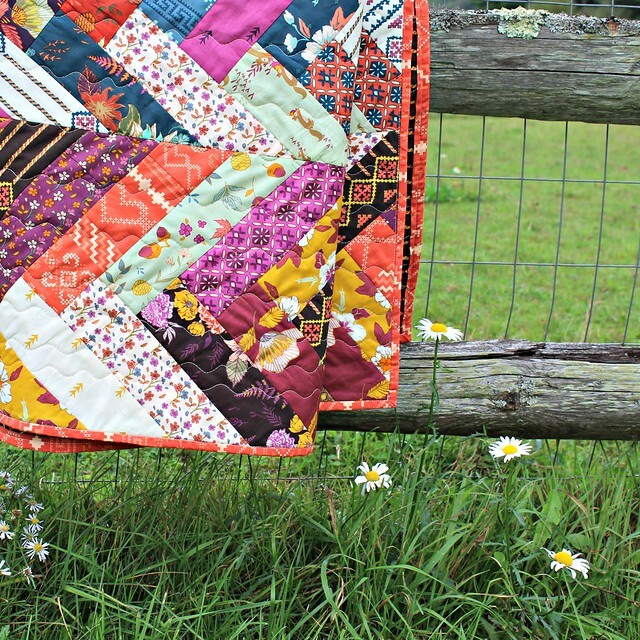 Gorgeous quilt and excellent tutorial! 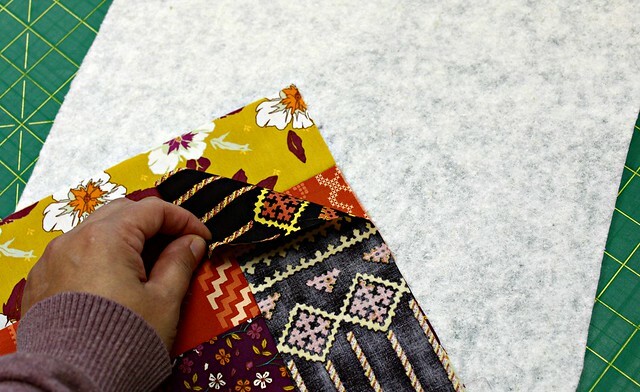 I could see it in Christmas fabrics as a table runner. Thank you for sharing. 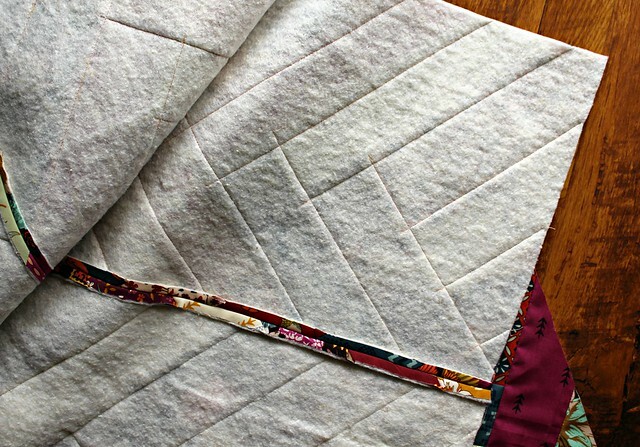 When you attach the quilt back to the quilt front - you only stitch down both sides of the joining of the long strips (braid)? Is there no other stitching to hold the back to the front??? Thanks for your help! Would love to try this. Pregnant women should eat only two to three cups of herbal tea per day. More than this is considered unsafe. This is unless you take in decaffeinated tea and if it is naturally decaffeinated it is the healthiest eat. Other concern about pregnancy is its influence on folate reaction in expectant mothers.